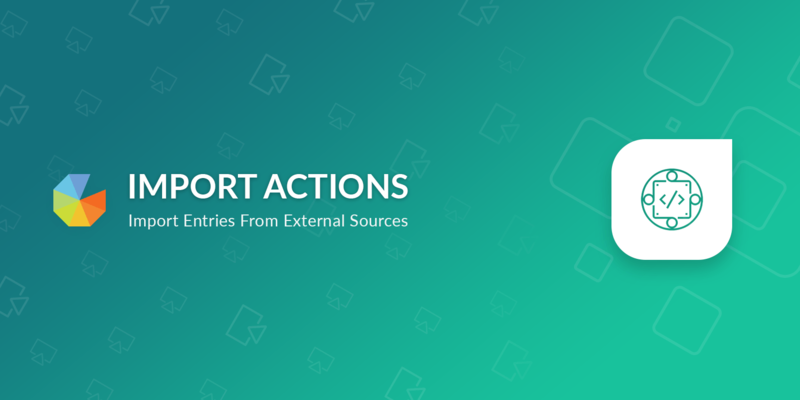 Import actions are a unique type of action that allows you to enter users into a competition from an external source. An example might be that you're running a contest that requires users to use a specific #hashtag to enter or asking users to post photo replies inside a Facebook post. Import actions also work seamlessly with normal actions, which means they can be used to also supplement entries from users that never entered via the widget at all. Due to the privacy restrictions you cannot access email addresses for users for social Import actions. The only personal information we will get is their social username or data they have specifically chosen to provide you with previously. If the user has authenticated with the widget previously for that network then we'll link up any imported entries to their profile. Entry Interval by default is set to Single, which means we'll import one image or video from each individual user. You can increase this to Hourly / Daily / Unlimited. You can import images or videos from comments on a specific public Facebook post or photo. You can import images or videos that have been posted to specific Facebook page on Facebook. You can import images and videos from Tumblr that have been tagged with specific #hashtags. You can import videos from YouTube that have been tagged with specific #hashtags. You can also import comments from your YouTube videos into your campaigns. How Often Does It Import? Currently we import new entries from Import sources hourly. Everything gets sorted by the actual social post time, so it'll line up in your Actions list at the time the action happened (not the time it was imported). Competition Imports are designed to import from the start date of the campaign onwards, when you setup the import it'll look back for entries created on the start date of the campaign and import up to 500. What Happens When I Add Import Sources? We'll do an initial pull of historical data when you first add an import source which depends on whether you are on the Business or Premium plan. Doing either of the above can mean you'll have potentially thousands of entries before you even kick off your contest. A common strategy to deal with this is to use the Archive feature on the Winners tab to archive existing entries before the competition start date. How Do I Contact Entrants That Use Hashtags or Social Media? One of the downsides to grabbing data directly from social networks is that we won't know anything about the user other than their username. If you pick a winner, you will need to contact the user from the social network they entered from - For example send a Facebook message, an Instagram message or post the winners details on your profile. The app does have smarts that will connect #hashtag entries to a users profile if they have logged into our widget from that social network previously.